The Nordic region (Denmark, Norway, Sweden, Finland and Iceland) has one of the highest internet and mobile phone penetration per capita in the world. Consequently, the governments have a high level of digital and online communication with both companies and citizens. All aspects of security are therefore a major focus for the Nordics and understandably there is a great appetite for IT security solutions. 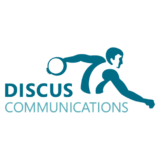 With over 25 years of experience in servicing security brands across the Nordic regions, Discus Communications has developed an extensive network of press and influencers who are focussed on security issues. Niels C. Jensen is the Managing Director and owner of Discus Communications. He has been working with strategic communications and marketing since 1992 – with a clear focus on IT and security. His mantra is to integrate communications and marketing in order to create desired synergies and, at the same time, optimize the client’s marketing investments across earned, owned and paid media. Niels is very experienced within crisis prevention, crisis management and issues management and focuses in particular on communications strategy and planning.